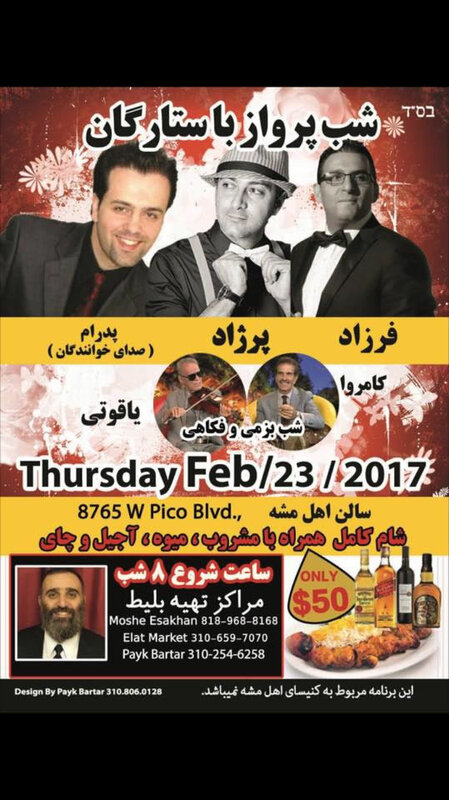 Entertainment by Pedram, Farzad, Perjad, comedy by Kamrava. at 8 pm at Ohel Moshe, 8765 W. Pico Bl. Los Angeles, CA. information: 818-968-8168 .